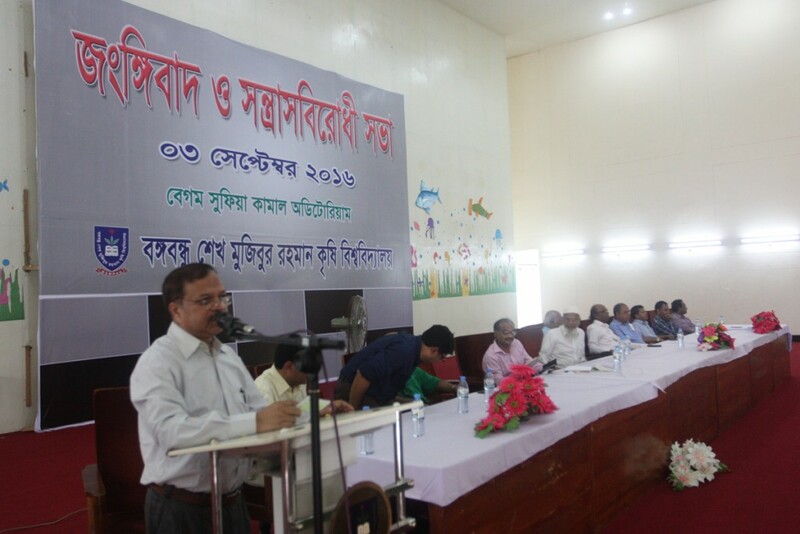 Bangabandhu Sheikh Mujibur Rahman Agricultural University (BSMRAU) organized an antiterrorism discussion program on creating awareness against antiterrorism through regularly maintenance of classes, cultural program & sports, scouting and girls’ guide activities and making the environment of the university education-friendly. The discussion was held at Bangabandhu Sheikh Mujibur Rahman Agricultural University Begum Sufia Kamal auditorium at 11-00 am on 03 Sept’16. 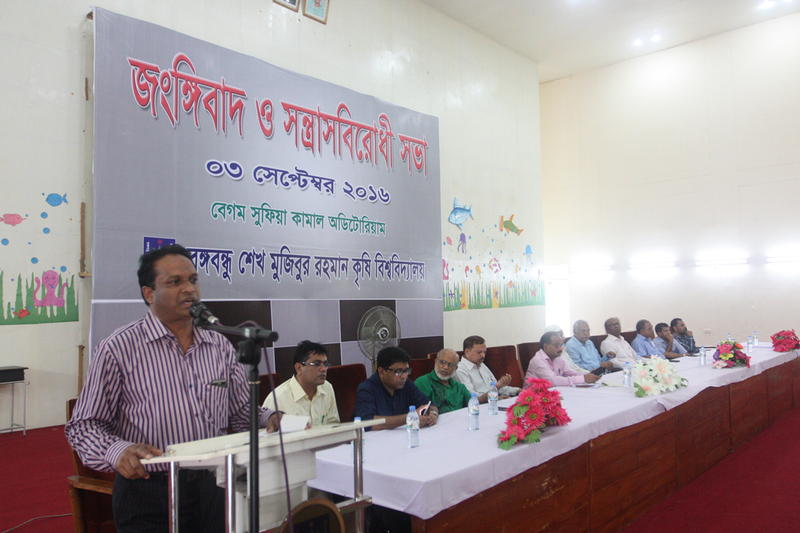 Vice-Chancellor of the University Prof. Dr. Mahbubar Rahman presided over the discussion program. 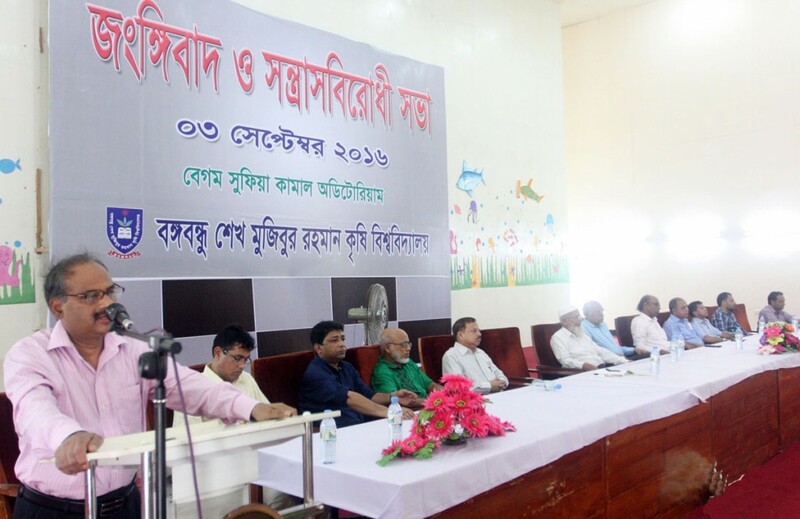 He mentioned in his speech about the invaluable role of Bangabandhu Sheikh Mujibur Rahman and all the deceased members of his family, as well as, paid tribute to all the martyrs. He reiterated the relentless efforts of the Prime Minister in making our country a role model of development in Asia and her stringent measures to remove the barriers of development caused by militancy and terrorist activities. 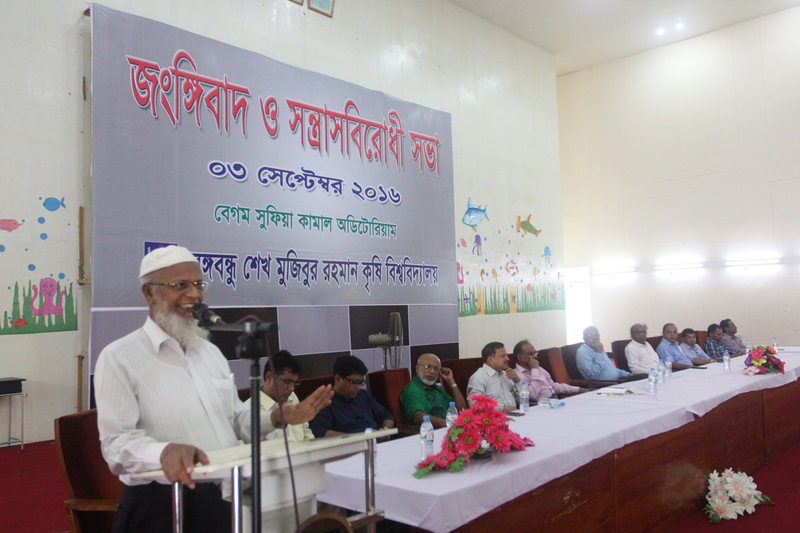 He urged the students to resist terrorism and extremism and whole-heartedly giving their efforts for the creation of a meaningful life. 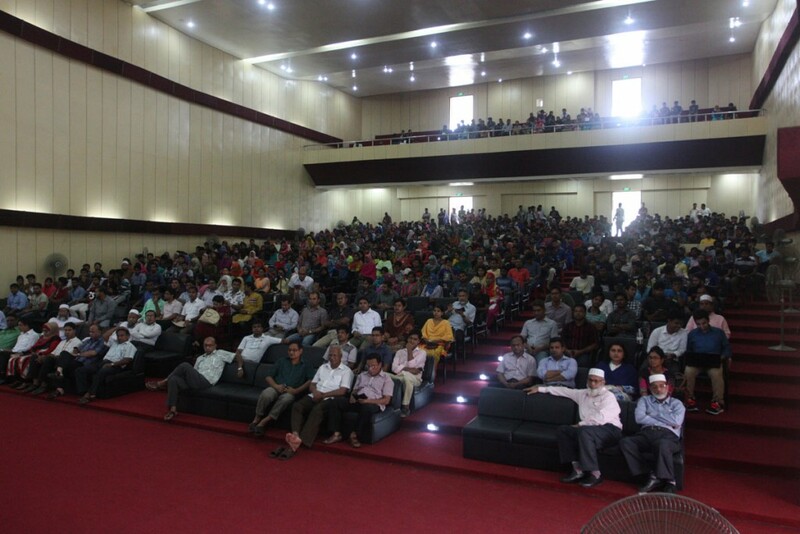 Besides academic curricula, he stressed on the importance of cultural and intellectual development of the students of this University; with this in mind, he emphasized to incorporate the literature, history and culture in the curriculum of course of studies. 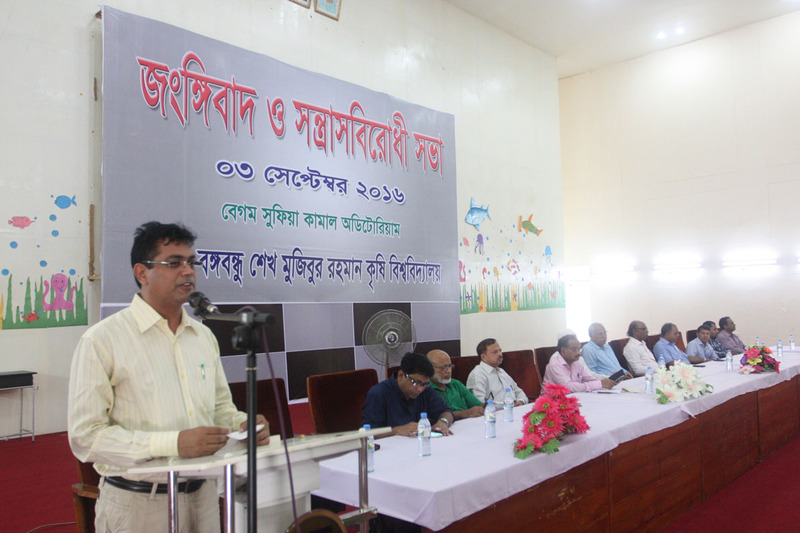 He also proposed to build a cultural center in the university to preserve and disseminate the history, literature and the rich cultural heritage of our beloved motherland. Prof. Dr. Md. 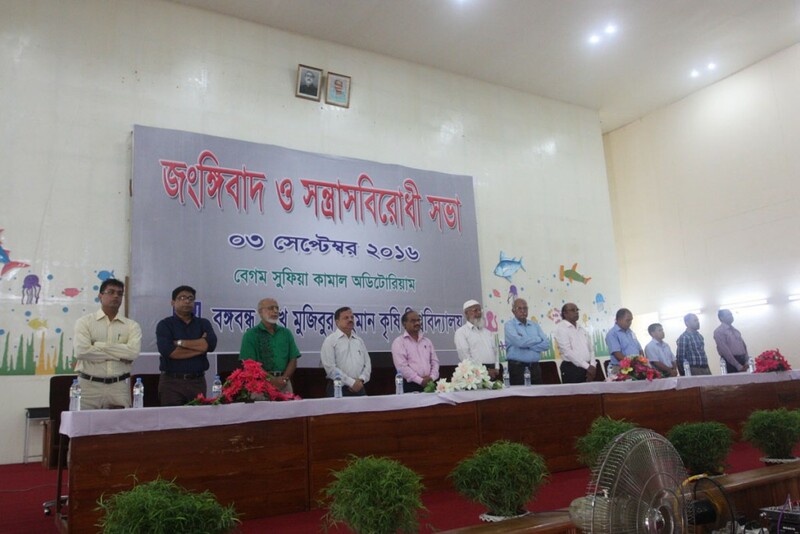 Ismail Hossain Mian, Treasurer, Director (Students Welfare) Prof. Dr. M. Mofazzal Hossain, Dean AERD Prof. Dr. Khandoker Saif Uddin, Bangamata Sheikh Fazilatunnessa Mujib Hall Provost. Prof. Dr. Md. 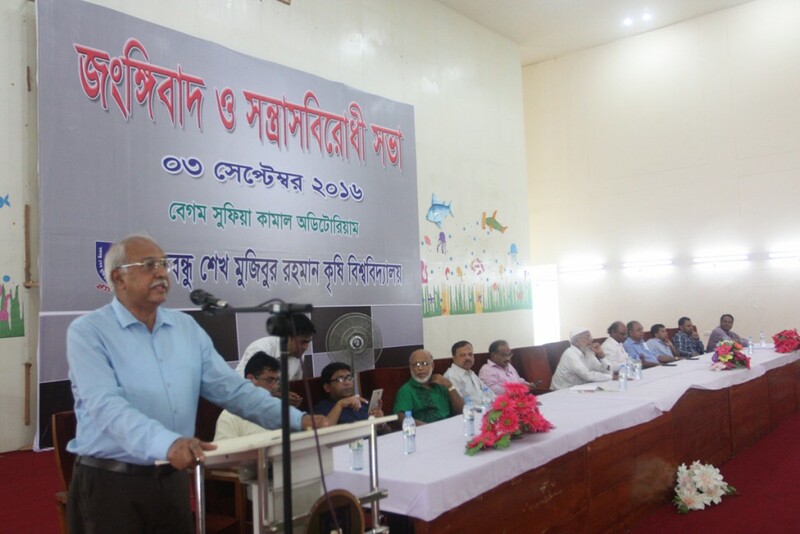 Ruhul Amin and Proctor Md. Roshidul Hasan also spoke on this occasion. The speakers said that to counter terrorism, all forces against the evil must be united led by a new generation of teachers and parents and stressed on the importance of family and social ties. 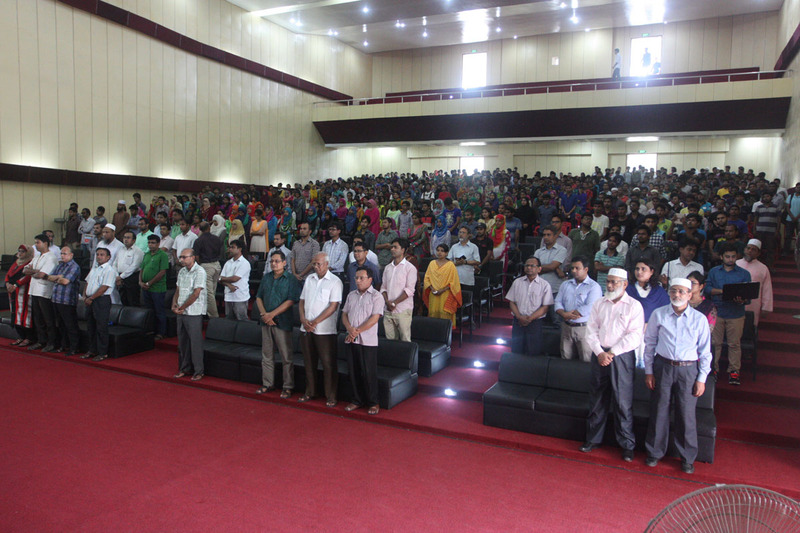 All Deans, Departmental Heads, Directors, Provosts, Registrar, Faculty members, Students of the university were present at that time.